Hearing loss is the third most common physical condition in the United States, after heart disease and arthritis. For some 48 million Americans, including one in three adults over the age of 60, hearing loss occurs in varying degrees and has the potential to affect many different areas of your life. As common as it is, hearing loss is also one of the most undiagnosed and untreated conditions among those who experience it. For people with untreated hearing loss, difficulties with communication and increased social isolation are just the tip of the iceberg. Studies have found that untreated hearing loss and increased incidents of social isolation have a correlation with the risk for developing dementia. Unfortunately, as an invisible condition, people do not often think of hearing loss as the culprit for challenges in their daily life. 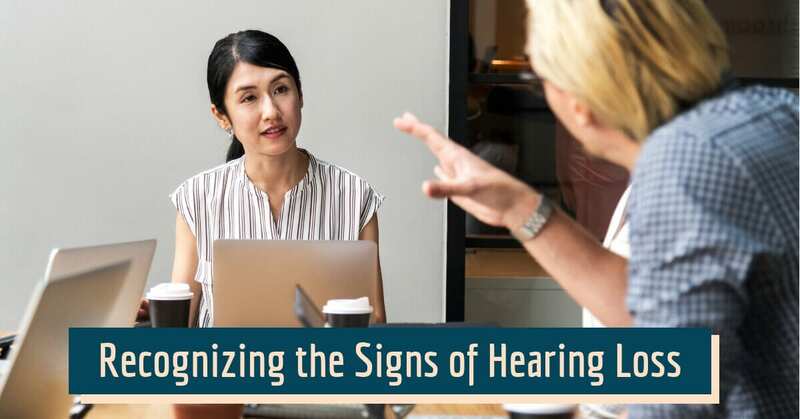 If you’ve noticed small changes in your interactions and in your daily activities, read on to learn about the signs of hearing loss. 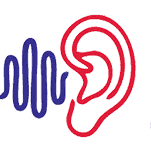 The Hearing Loss Association of America (HLAA) is a leading national organization that works to raise awareness on hearing loss. We’ve adapted a handy checklist from the HLAA; if you respond “yes” to the questions below, you may be experiencing a hearing loss. If you are concerned about a loved one’s hearing abilities, the following list could also give you an indication of the presence of a hearing loss. Ask people to repeat what they say? Have trouble following the conversation in groups? Frequently turn up the volume on the TV or car radio? Have difficulty on the phone? Oversleep because you didn’t hear your alarm clock? Have difficulty hearing or understanding speech at the movies? Avoid going to noisy parties and restaurants? Embarrassed to talk openly about not being able to hear? Avoiding activities that you used to love but have become painful because you cannot join in fully anymore? Afraid to reveal your hearing loss at work in case it jeopardizes your job? Bluffing in conversation when out with friends in noisy restaurants? Feeling cut off from your young children because you cannot hear their high-pitched voices? Avoiding family holidays because it is a strain to hear everyone? With untreated hearing loss, it is common for people to gradually avoid social interaction. Over time, this could lead to social isolation, a breakdown in our most important relationships, and an increased risk for developing depression, stress, and anxiety. Over time, social isolation due to untreated hearing loss could lead to an increased risk for developing dementia. If you or someone you know might have a hearing loss, you are not alone. Statistics tell us that it takes the average person seven years from the time they think they have a hearing loss until the time they seek treatment. It is important to remember that the only real way to identify a hearing loss is through a comprehensive hearing exam provided by a hearing health professional. At Hearing Services of Antioch, we provide comprehensive hearing tests to identify the presence of a hearing loss. On average, it takes a person seven years from the time they experience changes in their hearing until the time they decide to take a hearing test. During this time, without a hearing test, hearing abilities may diminish significantly. Hearing specialists encourage people to get their hearing tested as soon as they notice changes, as leaving hearing loss untreated may change neurological pathways in your brain and burden your cognitive ability. At the first signs of changes in your hearing, schedule a hearing test with us at Hearing Services of Antioch. If you are over the age of 50, we recommend that you schedule an annual hearing test as a preventative measure to keep track of your hearing abilities. If you’ve identified some of the above signs of hearing loss in yourself or in a loved one, take the first step to better hearing by scheduling an appointment for a hearing test at Hearing Services of Antioch. Remember – when it comes to hearing loss, the sooner you treat it, the earlier you’ll be reconnected to the important sounds of your life!